Lauren + Adrian — Love Letters Paper Co.
Lauren wanted only the requisite amount of feminine detail on her simple invitations. With a mix of soft, curvy script and strong bold caps, the typography is what really shines. The natural wood grain gave the suite some texture and depth, while a grosgrain ribbon detail gave it a more casual feel. 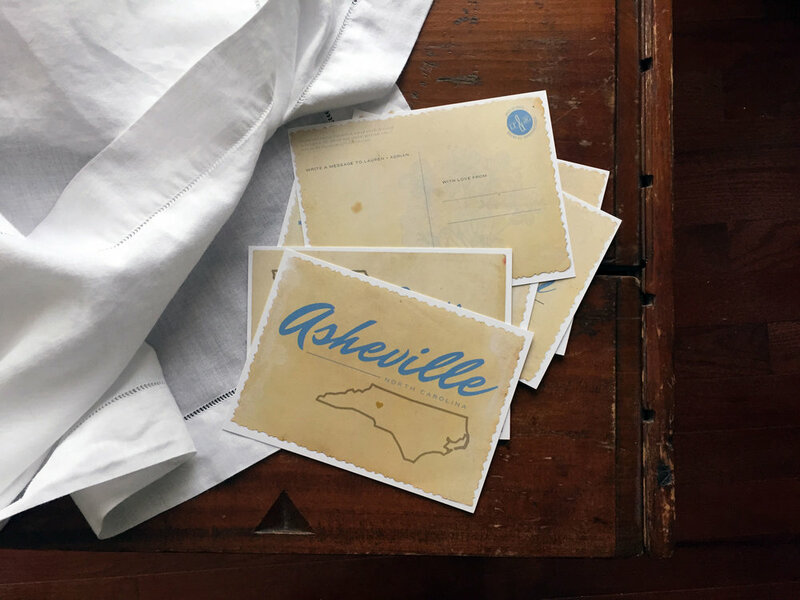 For their guestbook, I designed a series of postcards from important places from their long-distance relationship. Guests were invited to share their well-wishes with the bride and groom on the back.